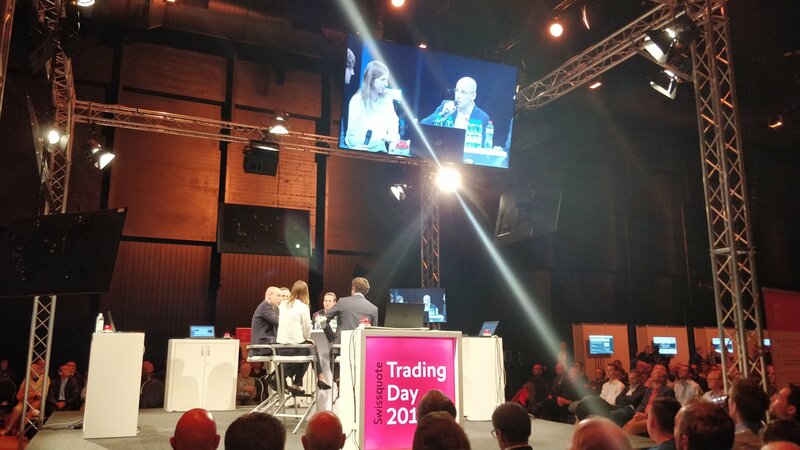 This Thursday (8th November), I was able to visit Swissquote Trading Day 2018 in Zurich. The event aimed to provide insights into active trading and the financial world generally, while also offering a platform for networking among like-minded attendees. The programme encompassed a welcome address from Swissquote Director Giuseppe Tafuro, followed by live trading on European markets, a panel discussion on the future of cryptoassets, a market outlook by Sophia Wurm from Commerzbank and talks on robo-advisory, chart analysis and trading psychology. As a translator specialised in finance and blockchain – among other fields – I relished the opportunity to learn more from industry experts and meet interesting people. I have been assisting numerous clients in this space for some time now, including major Swiss banks and cryptocurrency start-ups, and the day served as a great opportunity for me to expand my appreciation for these sectors. The main takeaways from the presentations were warnings to practise caution, as we approach the end of a record-long bull market for equities, as well as fascinating tips on managing emotions when trading in order to avoid costly mistakes (chief of which being to set target levels and stop-losses before you become emotionally involved in the trade!). Listening to the talks and panel discussion, it also struck me how the cryptocurrency world is still in its infancy. Progress is being made every day, but general awareness and adoption have quite a way to go before crypto enters the mainstream. And that’s not to mention some of the misconceptions people commonly have – but this warrants its very own blog post! Overall, it was a fantastic day packed full of interesting information. I look forward to attending similar events in the future!